At the National Historic Ships annual award ceremony on board HQS Wellington yesterday, 23rd Oct, Group 199 were presented with the Marsh Award for Historic Vessel Conservation. 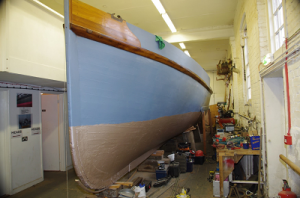 A few hours later at the ICON (Institute of Conservation) annual awards, Steam Pinnace 199 won the IMechE (Institution of Mechanical Engineers) Award for Volunteering in the Conservation of an Industrial Heritage Artefact. 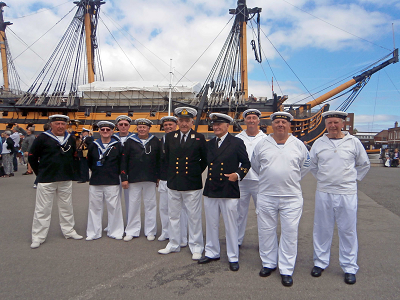 Group 199 are National Museum of the Royal Navy (Portsmouth) volunteers who operate and maintain Steam Pinnace 199, a 1912, 50 foot, ex-naval steam pinnace or picket boat. 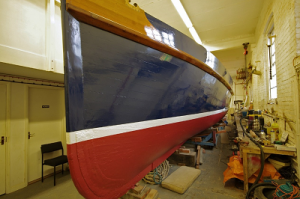 In 2012 they commenced a “100-year refit” of 199 which involved raising some £120,000 including £50,000 from the Heritage Lottery fund and £30,000 from the Friends of the Museum. 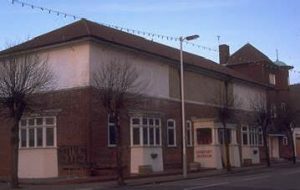 Many other individuals, organisations and companies helped with donations and materials. 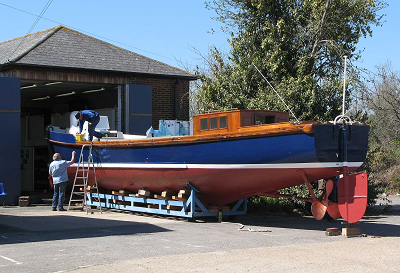 The hull was stripped to bare wood, her engine, boiler and auxiliary machinery were removed for checking and overhaul as necessary. Several internal bulkheads and the machinery rafts were replaced. This was followed by a huge amount of preparation and painting. 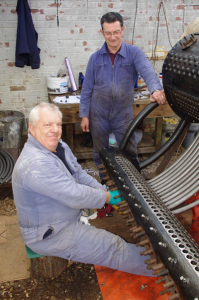 The group was also faced with replacing the 860 tubes in the boiler and had to seek help from Isle of Wight traction engine expert Mark Filer to undertake the work. This was Mark’s first attempt at working on a marine boiler – their inherently compact design makes them very difficult to work on. Sadly Mark died a few months after completing the task – his widow said that it was the project of his lifetime. 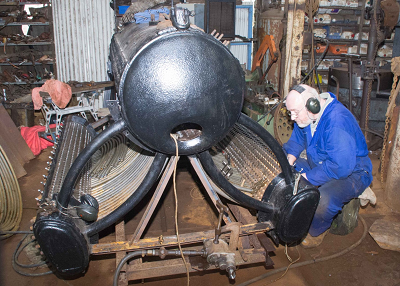 The boiler had 40 hours of steaming ashore before being lifted back into 199. 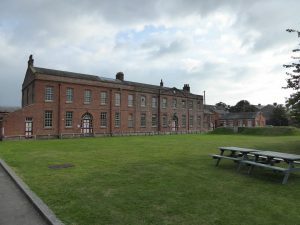 The project required an enormous amount volunteer work; some 12,000 hours were recorded as a contribution to the Heritage Lottery award. The biggest problem that faced the group was to maintain morale and interest in the project for the volunteers as unforeseen serious problems arose and the length of the project became extended. The boiler work, for example, took a year longer than originally predicted. 199 is currently afloat again in Forton Lake Marina but it is planned to move her to Boathouse 4 in Portsmouth Historic Dockyard at the end of October where she can be seen by the public. A programme of events under steam for 2016 is being planned. 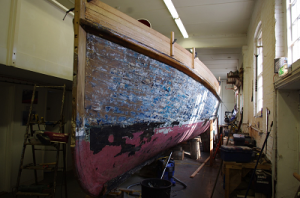 http://icon.org.uk/news/six-winners-announced-2015-icon-conservation-awards : The Steam Pinnace 199 received the Institution of Mechanical Engineers Award for Volunteering in the Conservation of an Industrial Heritage Artefact, with judges praising “the outstanding outreach potential, high aesthetic appeal” of the project and “the opportunity to sustain traditional skills”. http://www.nationalhistoricships.org.uk/register/40/199 199 is a member of the prestigious National Historic Fleet.